Photos of the waterfall "Rheinfall" - Rhineall - in Schaffhausen in Switzerland. Always worth a visit this wonderful area of a cascade. And more when I have only 30 minutes from my home to reach this place. 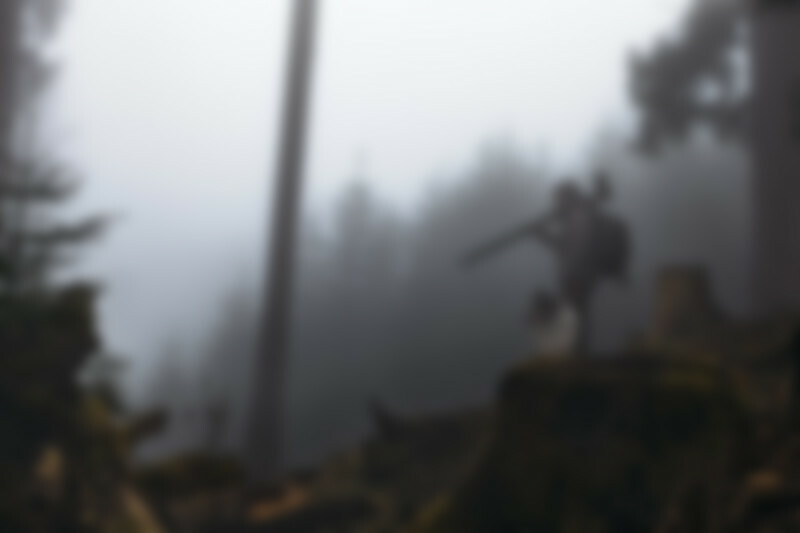 I hope you enjoy this vista here! Another shot I made last year at this well known location. And even more … I already made a shot from the same spot here in the past, but this time with different weather conditions than the last time. Sure, a place that has already been photographed to death! 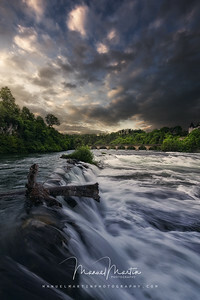 And as you know I count myself to those who have participated in this game as well :-) This view here is an attempt to give a different angle of view to the castle „Lauren“ at the „Rheinfall“ and I really hope that such a view has never been tried before he he he. 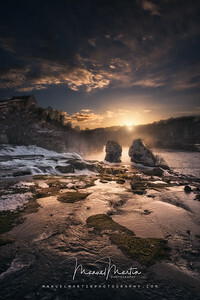 Well, since I have nothing new I publish this shot here I made last year during the winter season on the Rheinfall. I remember that evening very well. It was a wonderful mood, and I was really happy when finally all the tourists left the place because it began to be very cold. Just only half an hour before this moment here, this place was full of people from all over the world, making selfies with a selfie-stick and making some strange poses in front of their mobile lenses. And of course I was observing those crazy scenes. What a world ha ha ha ;-) But then tranquility came and there were only some local ducks and me at this place. And I could enjoy the moment and concentrate on the scene of this marvelous sunset. Finally, I have all the seasons together. 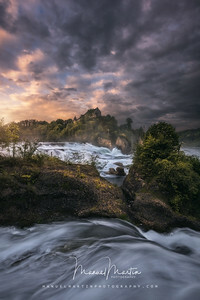 I started last year in summer to photograph this wonderful place and I wanted to visit the Rhine Falls at least once in every season. And with this photo here I could close the series with a spring shot. I was here a few weeks ago with two friends on a gloomy Sunday morning. Of course we had a lot of fun. The special thing for me was to see this famous waterfall with a large amount of water. Last year and also last winter this river scarcely led water but thanks to the many rainfalls lately, this place can show you again a spectacle at its best. I hope you enjoyed all my images from the „Rheinfall“ I made in summer and in autumn. Well, and this one here is now my last image from this place in autumn. I, for one, am looking forward to the winter, because I have the desire to visit this amazing place in every season. And I hope it will have a lot of snow and ice, because I’m already curious about how this place will look in a winter dress. Traditional shot of the „Rheinfall"
In my last post I already showed you a different picture of the Rheinfall, apparently a picture from an angle not often seen on the Web. But as I already told you, I also made some ordinary and traditional shots of the cascade … how could it be otherwise he he he … the light was delicious and I was there … so why not! And traditional because it has already been done to thousands or perhaps millions of times. So I present you my picture … actually the tralala million and one photo of this place ;-) This cascade is located near the town of Schaffhausen in northern Switzerland, between the municipalities of „Neuhausen am Rheinfall“ and „Laufen-Uhwiesen“ and is actually the largest plain waterfall in Europe! The building in front is the „Laufen Castle“. It is a Swiss heritage site of national significance overlooking the Rhine Falls. The first documented reference to the castle dates to the year 858 when it was the home of the Barons of Laufen, but today this castle serves as a tourist attraction. In the distance on the right you can see the „Wörth Castle“ where you can find a fine restaurant and a souvenir shop today! I think that I will return to this place to make some other shots from different angles in Autumn, when the colours of the leaves change! And in the meantime I hope you like this picture here! Well, some time ago I showed you a picture of a small waterfall in Fischenthal. And I told you that the 2 biggest waterfalls of Europe are the „Dettifoss“ in Iceland and the „Rheinfall“ at Neuhausen in Switzerland. 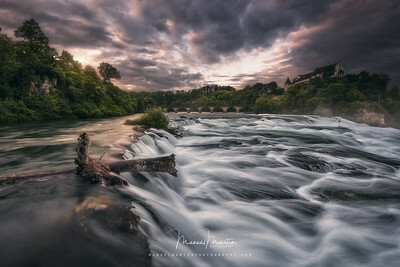 A shame that I never made some photos of the „Rheinfall“ … a shame because this location is only 30 minutes by car from my house! Well, I made 2 photos now he he he. There were only 2 problems. Problem number one: too many tourists! Problem number two: There are millions of pictures of this waterfall, and trying to make something special becomes really difficult! Solution to problem number one: Be there at 4 o’clock in the morning and wait till the sunrise. For sure you will not see one single and sane tourist! This was very easy to me :-) It was a refreshing morning walk for me and my dog Giorgio. Solution to problem number two was a bit more difficult. Of course I made the standard and traditional shots of the cascade, but I also tried this composition here in my actual photo. Looking to the big cascade I simply turned 90 degrees to the left and had the big river in front of me! I think I rarely saw a similar shot of this area and was really happy to have found something different. So I waited to the sunrise and made this shot here!